Go 6 miles southwest on U.S. 2, then 3 miles northeast on Town Road. Swimming: Great swimming in Lake Champlain. Boating: There is a boat launch ramp at the park, though there are no boats available to rent. Fishing: Great fishing in Lake Champlain. No staff are present in the park. A self-service metal box is located at the Contact Station to collect day use fees ($4/person). 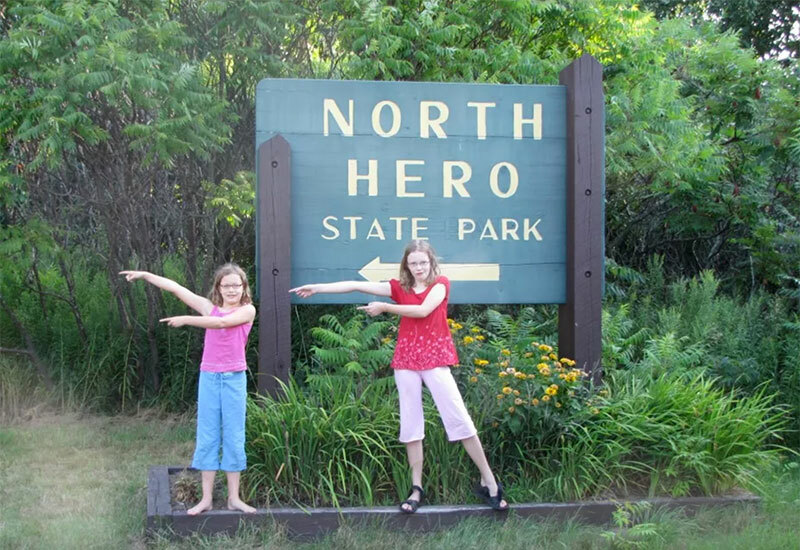 North Hero is a stop on the Lake Champlain Paddlers' Trail. For more information visit their website.